Secret Santa Giveaway Winners Announced! 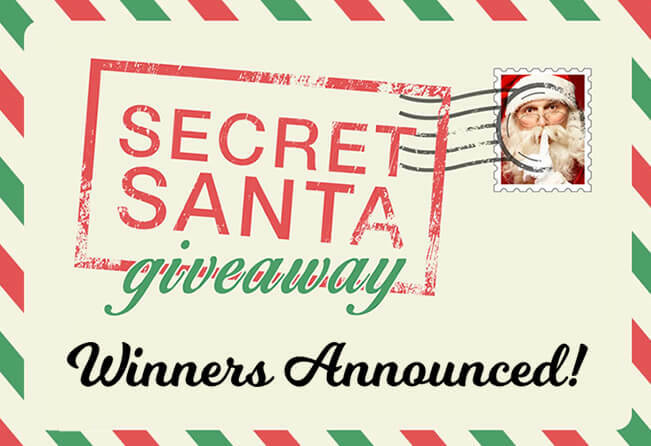 Thank you to everyone who entered our Secret Santa Giveaway! We had so many great entries, and we really appreciate all of those who shared their stories with us! Read about our six winners throughout the Dayton, Columbus and Cincinnati areas and the gifts they received this holiday season! In her entry, Anna told us that she is in her 80’s, on a fixed budget and raising her special needs great-grandson. Timmy is a very sweet boy who really loves to collect Hot Wheels cars. He is very particular in how he sorts them (by color of course! ), but he needs an upgrade from storing them in clear ziploc bags. Anna won four car storage cases, a Hot Wheels Semi Truck Carrier and Launching Garage, and more Hot Wheels cars to add to his collection. Connie told us,"I want to win the Secret Santa contest to help my daughter out. She has 2 little girls, ages 7 and soon to be 2. I would love to give her a gift card to help buy food and diapers. I don't want it for myself but to help her. After all, that is what Christmas is all about!" Connie was gifted a $100 VISA Gift Card for her daughter and granddaughters. This wife and mother of three told us, "My children need coats and shoes very badly. I am out of work getting ready to go for treatment for lymphoma after the first of the year. Of course they would love presents but they desperately need basic items like coats, shoes and clothing. Thank you for considering my family. Merry Christmas!" Vicky won three brand new winter coats and a $50 VISA Gift Card. Susan was gifted a $100 VISA Gift Card to make the holidays a little more comfortable! Brenda shared with us, "My daughter Brianna is a single parent to my grandson Noah. Noah was born with a cleft lip and cleft palate. He's two years old now, but constantly under doctors care. My daughter has a lot on her plate and it's overwhelming right now. I would like to win for my grandson. Noah loves music, and Bri wanted to buy him an iPad for Christmas, but she doesn't have money to go Christmas shopping. Thanks for the chance to win!" Brenda was given that perfect present for Noah - an iPad Mini! Kathy might be winning the 'sister-of-the-year' title, as she tells us, "I would love to win a Kroger gift card to give to my sister. She's working two jobs and groceries are always the last thing she has money for. This would be a tremendous blessing for her. Thank you for considering us. Merry Christmas!" This $100 Kroger Gift Card was given to Kathy's sister just in time for Christmas. Merry Christmas from all of us at Logan Services! May this holiday season bring you comfort, joy, peace and happiness to last throughout the coming year!